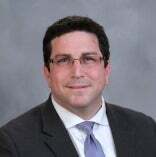 Justin Lerner has been professionally involved with risk management in a variety of roles since 1998. Currently charged with risk and policy at the Federal Reserve Bank of New York, which he joined in 2011, Justin previously spent 13 years at Goldman Sachs in risk roles ranging from managing derivatives risk on the NYMEX and AMEX exchange floors to dealing with Hedge Funds in prime brokerage and clearing. A Long Island, NY, native with an undergraduate business degree from SUNY-Binghamton, Justin spent more than three years in London for Goldman, where he headed the Risk Management desk for GSI Clearing in Europe and was responsible for risk management for EU- and Asia-based clients. Among other achievements, he co-headed the development of an institutionalized risk platform for Europe and Asia, and he partnered with other senior risk managers in developing risk methodology for Prime Brokerage and Clearing clients. He explains that the methodology, through a multifactor scenario analysis, modeled global risk in equities, options, futures, commodities, FX, credit, and OTC products, unlocking balance sheet usage for hedge fund clients while mitigating risk. The Stern MSRM program has delivered on its promise, Justin says: “The MSRM offers extremely well rounded faculty who are also talented educators, capable of delivering extensive amounts of knowledge with precision and clarity. A tremendous amount of change is going on in the global regulatory space, and the MSRM program has done a great job bringing all of these changes into perspective."